Food is one way I celebrate my Latino culture and share memories with my kids. When I introduce them to a dish from my childhood, I also find myself being transported back to specific periods in my life. Some of the recipes become instant favorites for my kids, while others, flop. But being able to share them with my family, along with my childhood stories, brings me a lot of joy. With the recent hurricane that devasted Puerto Rico, I find myself clinging to every memory I have from my days on the island. I’m proud of my heritage, and although my children will not experience what I did growing up, I can at least share my experience the best way I know how. Growing up, my grandmother always had a pot of Café Bustelo® brewing in her home. I remember having a cup of café con leche (coffee with milk) paired with Puerto Rican water bread or a breakfast sandwich. Although her home was completely destroyed by the hurricane, the memories will stay with me forever. 1. Add butter to skillet. 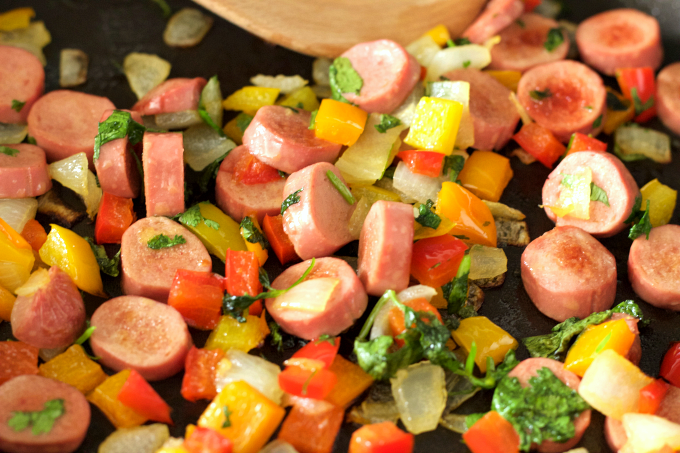 Over medium heat, sauté sausage, peppers, onions, and cilantro. 2. In a small bowl, beat eggs with salt and pepper. 2. 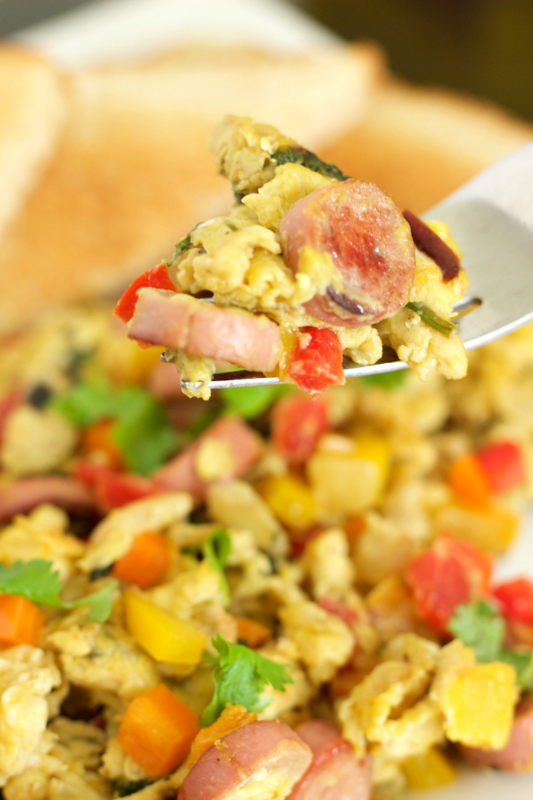 Add eggs to the vegetable and sausage mixture. 3. Pull and lift egg mixture until there’s no liquid left. Flip the eggs to ensure it’s evenly cooked, but don’t over stir to prevent the eggs from breaking up. 4. Transfer to a plate and serve with a cup coffee, toast and/or fresh fruit. 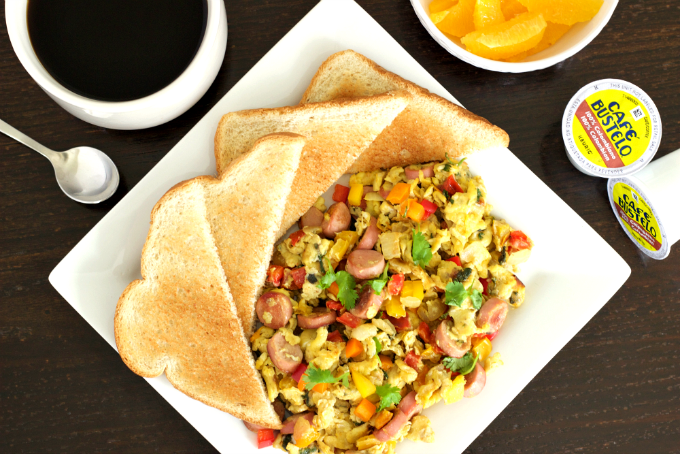 The combination of fresh ingredients makes this a tasty and filling breakfast. Of course, I had to pair mine with a hot cup of Café Bustelo which is high-quality Hispanic coffee. Just another way for me to connect with my Latin culture during Hispanic Heritage Month and beyond. I like to use the K-Cup® Pods, which I found at my local Target store, so my coffee is ready in minutes. You can find Café Bustelo in a variety of forms at Target – ground, whole bean, brick, K-Cup Pods, and Instant. 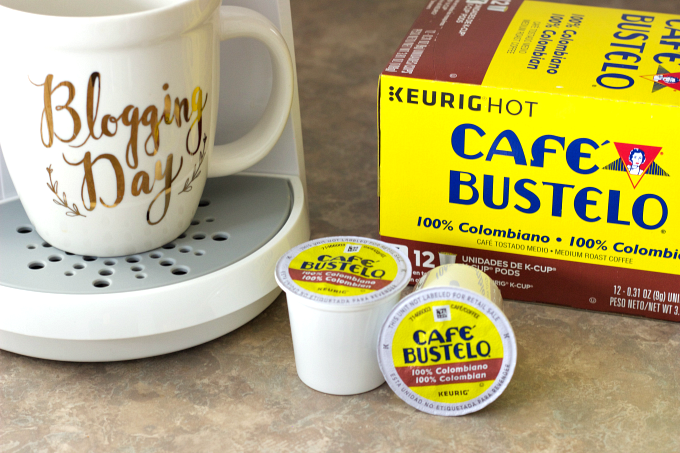 Make sure to download the Target Cartwheel app to save 10% off Café Bustelo K-Cup Pods! Also make sure to follow Café Bustelo on the web, Twitter, and Facebook. 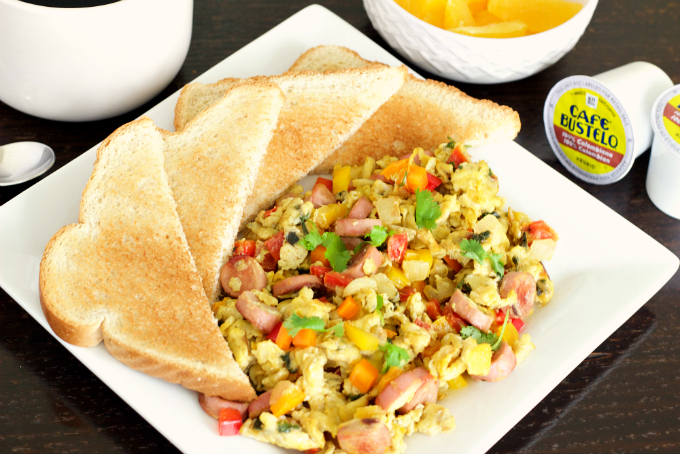 Do you have a favorite breakfast or dish that reminds you of your childhood? I’d love to hear from you!